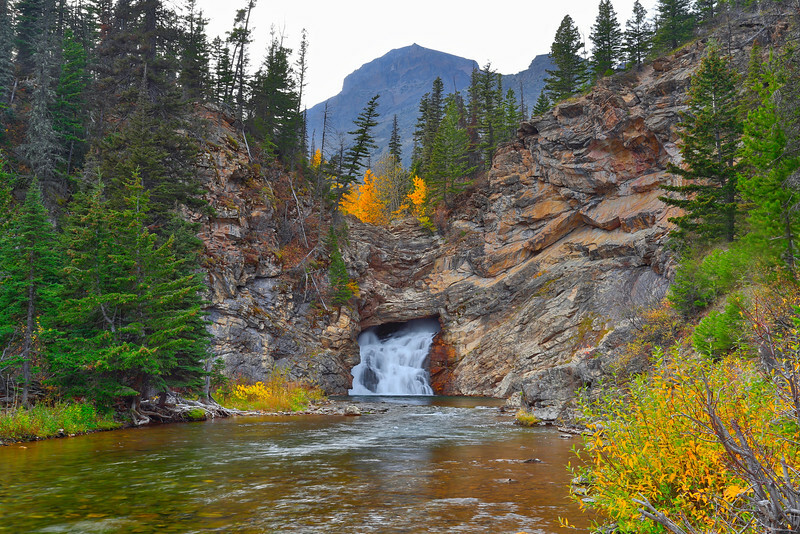 The waterfall is named after Pitamakan, or Running Eagle, a female warrior leader of the Blackfeet Nation in the early 1700s, who experienced a four-day vision quest in the mountains high above the falls. Running Eagle led war parties on many highly successful raids, and was the only woman in the Blackfeet tribe ever to do so, or to be given a man's name. It is 20 ft high. Stunning capture of the water in the falls and the glorious color of autumn! Interesting how it looks like it flows right out of the rock!